I have some questions and concerns with regards to the National Productivity Fund (NPF). In particular I am concerned that there seems to be little accountability or Parliamentary oversight of the money spent and no information as to how much money remains in the Fund. You set the NPF up in Budget 2010 with an initial $1 billion allocation but a commitment to a total size of $2 billion. 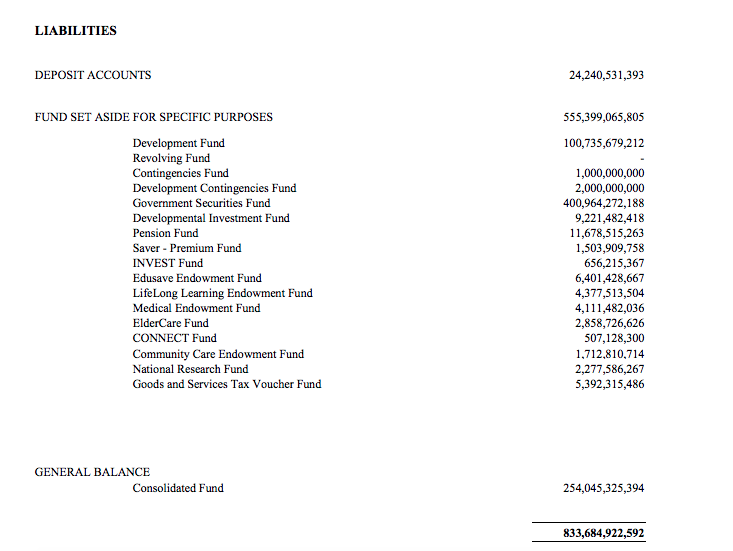 In Budget 2011 you allocated another $1 billion for the NPF taking the total to $2 billion. In this year’s Budget you allocated another $1.5 billion. This brings the total amount of money allocated to at least $3.5 billion. Parliament passed a law setting up the NPF in 2010. However this is not the case for several other funds that you have set up and allocated substantial sums of money to in the last few Budgets. I have been unable to discover any Parliamentary Acts for the Bus Services Expansion Fund (BSEF), the National Youth Fund (NYF) or the Special Employment Credit Fund (SECF), to name a few of the many funds you have set up over the last few years. Despite being required under the NPF Act to keep proper accounts and records and to present audited accounts to Parliament as soon as practicable, there is no record in the Parliamentary reports of this having been done. I have been unable to find the accounts online or to find any record that the Auditor-General has audited the accounts and controls of the NPF. The only evidence I can find as to how much money has been spent from the NPF is from the Parliamentary reports. On 15 October 2012, during oral answers to questions on the effectiveness of the Government’s productivity measures, Teo Ser Luck, then the Minister of State for Trade and Industry, revealed that $950 million had been committed from the NPF “to support the slew of productivity initiatives” and that approximately 7,000 companies had benefited. The next update was in the Debate on the President’s Address held on 26 May 2014 when Teo Ser Luck updated the House that half of the NPF had been committed. At that time the amount set aside was $2 billion so that would make total commitments until then $1 billion. Does that represent actual spending or commitments? Does the NPF hold shares in the companies to which it has given grants for productivity improvements or claw back any of the money spent from the financial gains? I am particularly concerned that the NPF, the BSEF and the SECF have never been shown in the annual Statement of Assets and Liabilities (see link) which Article 147-(4) (b) of the Constitution requires you to present to Parliament at Budget time. The link is to the statement dated 31 March 2013. This is more than two years out of date but is the latest that you allow Parliament and the Singaporean public to have access to. However you have given the President the statement dated 31 March 2014 and there is no reason why Parliament and the public should not have access to the more up-to-date figures. This is supposed to be “an audited statement showing as far as practicable the assets and liabilities of Singapore at the end of the last completed financial year.” Neither are the BSEF, the NYF or the SECF. However other funds are represented on the liability side of the balance sheet such as the National Research Fund, the GST Voucher Fund, the Lifelong Learning Endowment Fund, the Government Securities Fund and the Edusave Endowment Fund. Why have the annual Statements of Assets and Liabilities never shown the National Productivity Fund when it is a separate fund established by law and not part of the Consolidated Fund? For example, the National Research Fund is shown as part of the Statement even though the NPF is not. SImilarly why have the annual Statements never shown the BSEF, the SECF or the NYF? Would you agree that it is a Constitutional requirement to include them? If not what is the explanation? If the NPF is not shown on the liability side of the Government’s balance sheet, are the monies allocated still shown on the asset side? Similarly are the monies allocated to the BSEF or the buses purchased with the fund shown on the asset side of the balance sheet? Ditto with the SECF. If it is no longer included on the asset side, does this mean that the entire $2 billion appropriated to the NPF up until Budget 2015 has been spent? 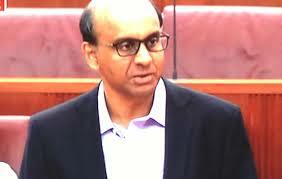 Why then did Teo Ser Luck say in Parliament on 26 May 2014 that only half the NPF had been committed? Were the accounts of the NPF ever presented to Parliament as required under the Constitution? Have they ever been audited by the Auditor-General? What about the BSEF and the SECF? Has the money committed been given away in grants and if so to which companies? Was there any requirement to pay back the grants from the increased productivity, if at all, of the companies? Given that productivity has not risen at all since 2010 and is in fact lower than before the financial crisis of 2008, it is difficult to see that there have been any positive benefits from the money spent. Would you agree that this has been a complete waste of taxpayers’ money? Why have Acts of Parliament not been passed to administer the Bus Services Expansion Fund, the Special Employment Credit Fund or the National Youth Fund? You allocated $2.35 billion to the SECF in 2012 and another $0.5 million in 2015 while the figure for the BSEF was $1.1 billion. If no Act has been passed, then would you agree that by law the monies allocated remain part of the Consolidated Fund and all expenditure therefrom needs to be authorised by Parliament? In the BSEF and the SECF remain part of the Consolidated Fund, would you point me to where expenditures from these funds were approved by Parliament as part of the Budget? I am sure that you will have a simple explanation for these apparent discrepancies and apologise if I have been too obtuse not to see it with the limited access to information given to the Singapore public and Parliament. You have rightly been vigilant on behalf of Aljunied residents in pursuing an alleged $6.4 million overpayment by the Aljunied-Hougang-Punggol East Town Council (AHPETC) to their managing agent. Therefore you will understand why I am concerned on behalf of all Singaporeans by possible Constitutional breaches involving sums hundreds of times larger. My concerns go to the heart of transparency and accountability and the reasons why we need a strong Parliamentary check on the Executive. I am worried that without proper accountability and full transparency the monies allocated to the NPF and to other funds not shown could be used to cover up losses at Temasek, GIC and MAS. While there is no evidence that this has occurred there is equally no evidence that it has not. I therefore urge you to release the accounts of these funds without delay and to answer my questions. You admitted this year that the amounts you allocated to endowments and trust funds do not constitute real spending after we drew this to the public’s attention here, here and here. Yet once they have been allocated they disappear from Parliamentary oversight and control and from the eyes of the public. In view of the Government’s admirably tight-fisted approach to spending on Singaporeans’ welfare, health and education it is vitally important that we see such controls applied to other areas of Government spending to see that there is no unnecessary wastage at best and fraud at worst. If the funds are not listed in the annual Statement of Assets and Liabilities then it is difficult to see how we are expected to believe that there are adequate controls on spending. We know that the Constitution requires you to provide the President with a summary of the receipts and expenditure of each fund but without transparency how can we know if the President is performing his Constitutionally mandated role adequately? You have ignored my previous letters written in May 2012 and February 2014 even though the latter showed that you had admitted that the AG had misrepresented a loan commitment as an asset when it is actually a liability in order to defeat my suit over Singapore’s $5 billion IMF loan commitment. Therefore I expect you will ignore this letter and shelter behind the High Court’s decision to deny Singaporeans locus standi to sue their Government if it breaches the Constitution. However if you fail to answer my questions within a reasonable time frame, Singaporeans can and will draw their own conclusions. Thanks for the info Mr. Kenneth, we as layman will never understand about such accounting. I hope the daft 70% will read your artical/letter to the finance minister. We demand an answer from the Papies. Thank you, Kenneth. Government “accountability”, “transparency” and “incorruptibility” should mean also not ignoring such queries. Good stuff, Ken. Let’s hope the points you raised are answered clearly. Half-truths have been a hallmark or manifesto of the PAP.